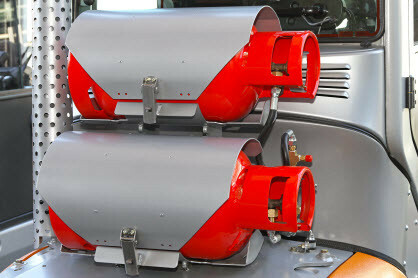 Industrial Propane can be used as a cutting gas, firing furnaces or to power vehicles. Hagedorn's LP Gas Service helps industrial customers in Morgantown with their motor fuel needs. Customers use propane to power forklifts and over-the-road vehicles. Propane is also used in stationary engines, furnaces, or as a cutting gas to name a few applications. Easily comply with industry standards using well established and reliable propane. One industry that uses propane frequently is construction. Space heating, power generation, and lighting are top priorities for many jobs. Contractors, whether you’re on a commercial site or in a residential area, you have someone you can trust with over fifty years of experience in propane. Hagedorn’s offers reliable fuel delivery by working with your schedule. Contact us today to learn more about our offerings in industrial propane by calling or emailing us today.